xMax, as a physical layer technology, can be configured for use in wired and wireless products; designed for deployment at any frequency; configured for licensed and unlicensed spectrum, or in a spectrum sharing fashion. Importantly, it can improve range and battery life in such applications and uses the radio spectrum in a very power efficient manner. The original xMax system is a hybrid technology in the sense that it has aspects of both narrowband and wideband communication systems; it uses pulse position modulation (PPM) and ultra wideband communications (UWB), but also employs a narrowband carrier. The use of the carrier at the receiver basically eliminates the difficult synchronization and search problems inherent with PPM and UWB systems. 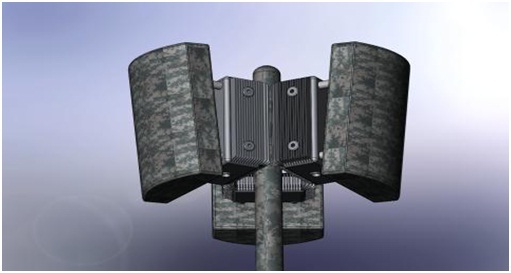 Low-cost mobile voice and broadband data services, xG Technology, Inc. has developed an innovative wireless communication system (aka “xMax”) that is capable of delivering mobile voice over IP (VoIP) and broadband data services in the 902-928 MHz unlicensed band. From a business model perspective xG Technology is targeting this scalable radio access network (RAN) solution towards new-entrant service provider partners, such as cable companies, competitive local exchange carriers (CLECs), satellite companies, foreign incumbent local exchange carriers, etc. that may be seeking to deliver mobile VoIP/data services to the market on a nationwide or selected market basis. The inclusion of voice capability in addition to broadband data in the xMax RAN solution is a critical differentiation that will be emphasized throughout this white paper. This is because despite the media fascination with the iPhone™ and other smartphones and despite the increasing demand for mobile broadband data services, mobile voice remains and will continue to remain the major revenue earner for mobile operators. In order to meet the objective of providing low-cost mobile voice and broadband data services the xMax carrier class cognitive radio solution has been developed around commonly used and open Internet protocols including IP, RTP, UDP and IP. In addition, it was designed to operate in both unlicensed spectrum, such as the 902-928 MHz ISM band, and licensed spectrum. As a result of these design considerations, xMax includes responsive opportunistic-use technology based on “Identify And Utilize (IAU) techniques capable of combating in-band interference encountered in the unlicensed spectrum, and extends the SIP and RTP protocols to the wireless domain. Among VoIP signaling protocols, SIP is regarded as very bandwidth-inefficient from a signaling overhead standpoint. In fact, SIP signaling can consume up to 400% of the VoIP payload bandwidth, an unacceptable figure for mobile networks. To increase the efficiency of SIP signaling, yet maintain 100% standards compatibility with external VoIP systems and soft switches, xG has created patent pending SIP compression technology for the xMax system that reduces SIP overhead bandwidth from 400% to 66% on the over the air links and backhaul links from the Base Stations to the xMax MSCs. The MSCs do the SIP compression and decompression to maintain 100% interoperability with third-party VoIP systems. This also has the benefit of making more bandwidth available for mobile data applications being carried alongside voice traffic. The primary consideration in the network architecture design of the xMax system is to achieve the goal of providing robust, scalable, and full-featured voice and data services to mobile subscribers at a fraction of the cost of traditional approaches. • Air-interface designed for operation in unlicensed as well as licensed bands. • Base station (BSN), which provides radio to network access to handsets. The xMax base station is a three sector, 18 channel mobile VOIP transceiver device. The BSN channelizes the 902-928 MHz band into 18 discrete channels, which are only used when there is traffic to mobile devices that are registered with a particular channel. • Access Network Gateway (ANG), called the xMSC in an xMax network that provides call process, IP packet delivery services and several other IP, mobility and network signaling related functions. • Technology agnostic back-haul links from BSN sites and the ANG (Fiber, Metro Ethernet, PTP Wireless, etc.). While the BSN is conventional in both architecture and functionality, the ANG (xMSC) is a novel piece of wireless infrastructure equipment that consists of 100% off-the-shelf hardware with proprietary software developed by xG: • Ethernet Switch which aggregates BSN links. • Firewall which provides private to public network address translation (NAT) services. • SIP Proxy Server which supports SIP call control, xG’s SIP message compression technology, and E911 services. • Proxy DHCP Server which is used for IP address services. • Network Monitor (xMonitor) software which is responsible for end-to-end network management and monitoring services. Among the unique characteristics of the xMax network architecture is the way mobility is implemented. The system provides soft handoffs with make-before-break capability (timeslots are acquired before breaking a connection), which result in reliable roaming and a seamless user experience. This is demonstrated further in rhe ability of the system to perform inter-technology handoff (xMax to WiFi). With all handoff decisions made at the handset level via proactive channel scanning, there is no need for inter-base station communication, which helps drive seamless operation.